After two and a half weeks, it's good to be home in Downey again. 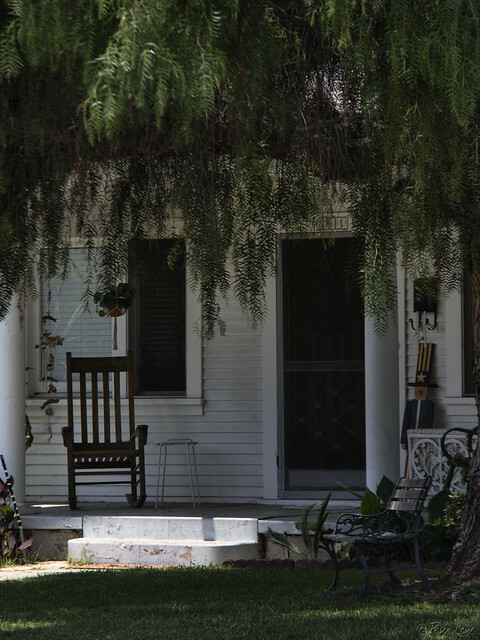 But when I looked through my backlog of Downey Daily pictures, I came across this one that reminds me of the farm and small-town houses that I saw constantly in the Midwest. Much of Downey was built in the post-WWII era. This house, with its appealing and open front porch, was built in 1921, and would fit in perfectly in any small-town neighborhood in the Midwest.